All aboard: first new passenger trains set to enter service in Sydney | COMMUNITY ACTION ALLIANCE FOR NSW (CAAN): HOUSING INEQUALITY WITH AUSSIES LOCKED OUT! They look like one of Sydney’s existing Waratah trains, and feel and travel like one. For passengers, about the only noticeable difference of the 24 new Waratah B-sets from the earlier versions are the orange-coloured exterior of the driver cabins and tweaks to lighting in the carriages and their electronic information displays. Gladys Berejiklian says 24 new Waratah Series 2 trains will come into service with full air-conditioning throughout the network, with the aging S Set trains set to be retired. But with surging patronage stretching Sydney’s rail network, the new trains will be a welcome relief, especially for commuters in the city’s south west. They have had to endure more than their fair share of uncomfortable trips over summer on old S-sets, dubbed “sweat sets” because of their lack of airconditioning. The first of the new Waratah trains – designed in Australia but built in China as part of a $1.7 billion contract – will enter service on Sydney’s rail network in the next two weeks. With five already in the country, the rollout of the new trains on the network will be sped up over the next nine months, allowing Sydney Trains to finally retire the dreaded S-sets. Sydney Trains has had to press the S-set trains into service more often in order to put on extra weekly services rolled out as part of a new timetable in November. The S-sets have been common on the South and Inner West, Bankstown and Airport and East Hills lines. Sydney Trains executive director Tony Eid said the main reason S-sets were pressed back into service on lines in the south west was because of the “massive growth” in demand from passengers in the north-western corridor where newer types were needed. “The S-set is slow to respond reliably – it takes longer to open and close doors, and it doesn’t carry as many people as the other trains do. But what is important is that when these [Waratah] B-sets come into service they will go straight into the south west,” he said. 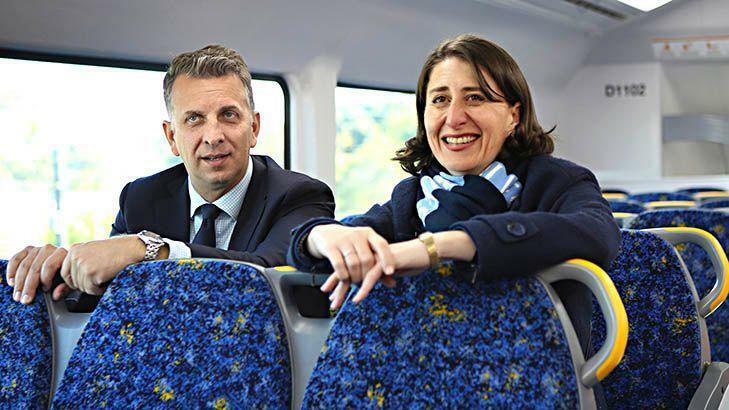 On Thursday, Premier Gladys Berejiklian and Transport Minister Andrew Constance rode on one of three new Waratah trains which are undergoing testing on the network. While the government has an option to buy 45 extra Waratah trains, Ms Berejiklian said it would need to consider the impact a new multibillion-dollar metro rail line had on the existing network before any decision was made on a new purchase. Ms Berejiklian said the new type of Waratah trains – each eight carriages long – was “more customer friendly”, featuring electronic information boards. “It’s really a better version of what is already a good train,” she said. The Waratah train types will soon comprise well over half the Sydney Trains fleet.